Mother, Mother Ocean, I have heard you call. Most kids dream of Mickey ears and seeing the castle, trips to see that family member who has the awesome tv and games, even sliding down that giant slide surrounded by fish in Atlantis. My parents, however, raised me a Parrothead and I wanted nothing more than to sit at Captain Tony's and see a piece of Cuba while being crossed by a rooster (more on both of those later). All of this making my trip to Key West once I turned twenty-one one that was extremely awaited for and I needed to do it right, thus this guide on how I conquered the best of the best in Key West, making sure to allow extra time in case you get stuck in a Guinness drinking contest at Irish Kevin's. 1. Breakfast or Brunch at the Blue Heaven. Enjoy a fresh squeezed mimosa while listening to an acoustic set to start out your morning with a very al fresco menu. 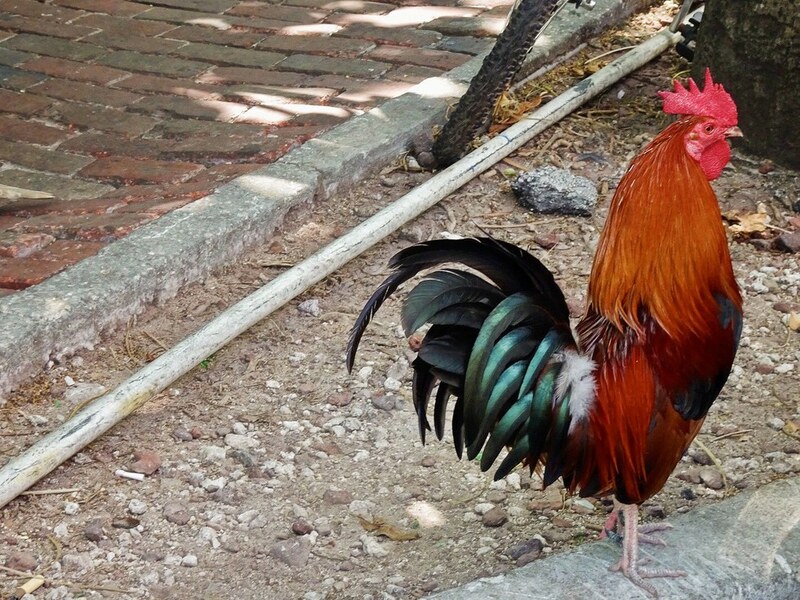 You'll be joined by the local roosters as they parade around the property while surrounded by bath tubs full of bountiful gardens and shaded by overgrown foliage and bulbed strings of lights. The ambiance is to die for and trust me, you'll never want to brunch another way again. After all, "It's a flashback kind of crowd, It's a cabaret sound, There's still some magic left in this tourist town, at the Blue Heaven rendezvous." 2. Check out Robbie's in Islasmorada. Now, this is a little trek compared to all the walking you've been able to do throughout the city. It's roughly two hours north of Key West, and if you're driving into Key West, it's right on the way, so pretty please with whipped cream and a floater on top , stop in! There are usually local artists and merchants outside selling goods, but set far back on the property behind the restaurant is a marina. You can pay admission to go out on the marina (I wanna say the whole experience cost me $7) and purchase a bucket of frozen fish. You then can go out, lay out on the marina and feed the massive Tarpon, which trust me I know sounds totally weird, but it is such a cool experience and will not disappoint. 3. Drink a Piña colada at Hogs Breath. Now this is going to be short and sweet. Hog's Breath is definitely a touristy restaurant/bar in Key West, and I don't spend that much time there. However, GET THE PINA COLADA. Not all pina coladas are made equally, and Hog's Breath may just be the place that will teach you that lesson. 4. Find the Smokin' Tuna and fall in love. The Smokin' Tuna became one of my absolute favorite spots in Key West to just relax and enjoy life. It's off Duval down an alley behind Dirty Harry's and trust me, you won't be disappointed you strayed a block from Duval. They have two large bars and a stage all surrounded by foliage and some of the sweetest bartenders from around the world. If you're not trying to be surrounded by a spring break-esque crowd, yet you want to be under the stars and not tucked away in a closed up bar, this is your place. 5. 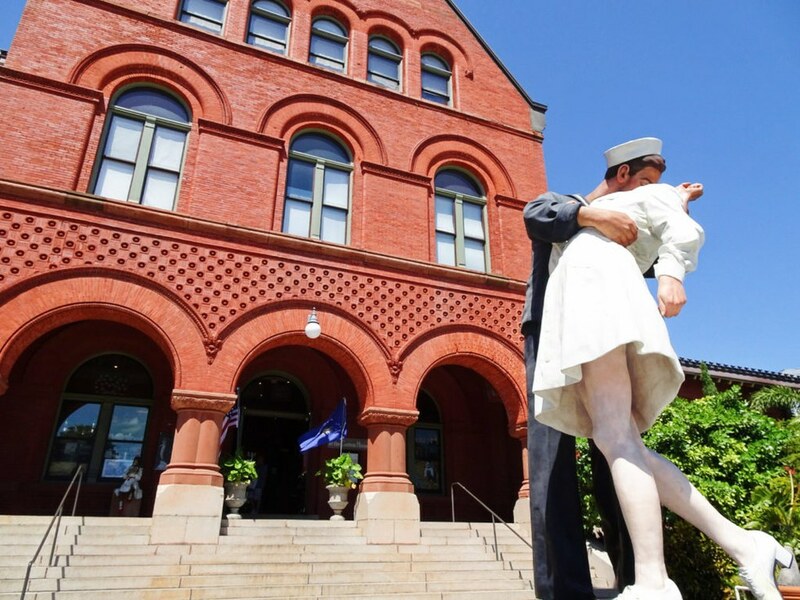 See the statue at the Key West Art and Historical Society. Now, while I don't really recommend taking the time to go through the museum if you're on any sort of time crunch, to be honest it's a little dated, I do, however strongly recommend standing and marvelling at the statue outside. 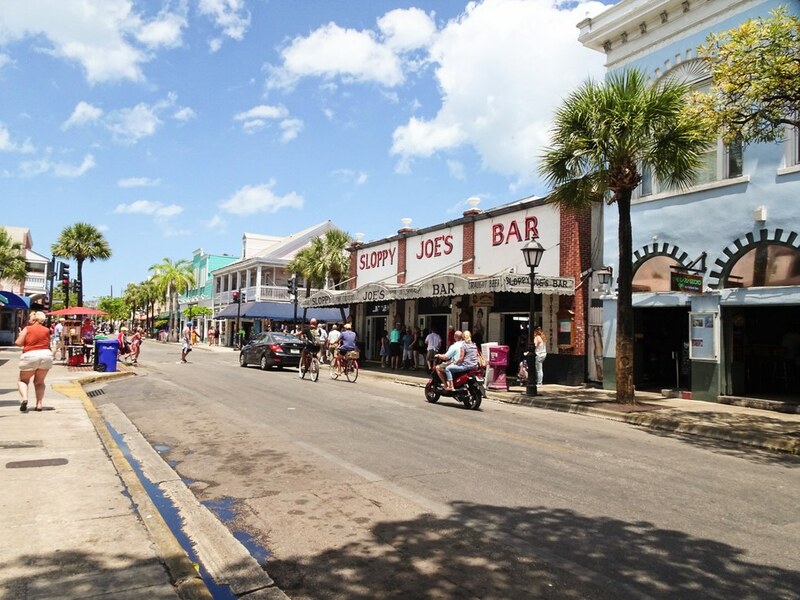 It's size will astound you and, to me, it is the heart of Key West, simply iconic. 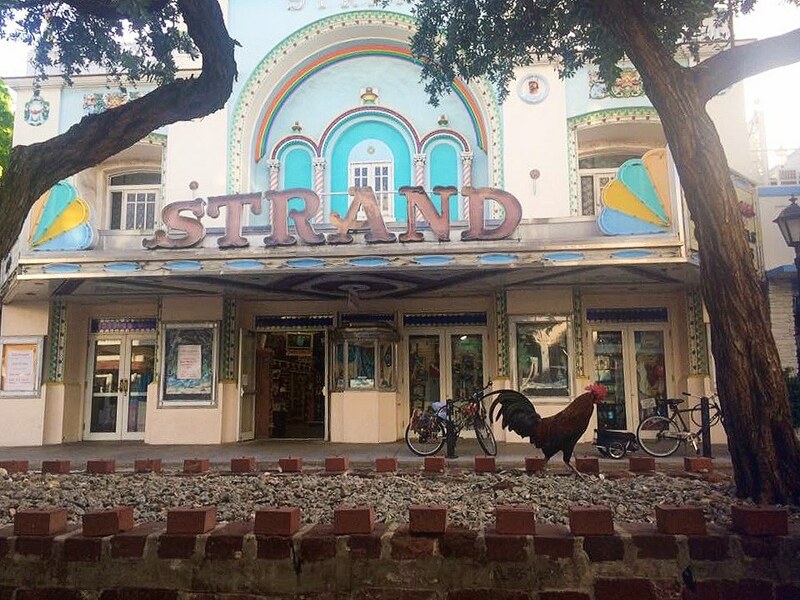 The building's structure itself is a sight to see and will leave you feeling as if you're in the middle of Old Key West. 6. For the Old-School Buffett fan, check out Capt Tony's and all of its history. Captain Tony was the mayor of Key West for two years and the star of one of my all time favorite Jimmy Buffett anthems. He was a jack of all trades, and as far as I'm concerned the original Key West pirate. His bar now represents a hole-in-the-wall with impeccable character and clad in his campaign memorabilia, newspaper articles, pictures, and dollar bills. Billiards will keep you busy while you listen to some of the most raw and inventive acoustic sets that side of Duval. 7. Experience sunset at Mallory Square. 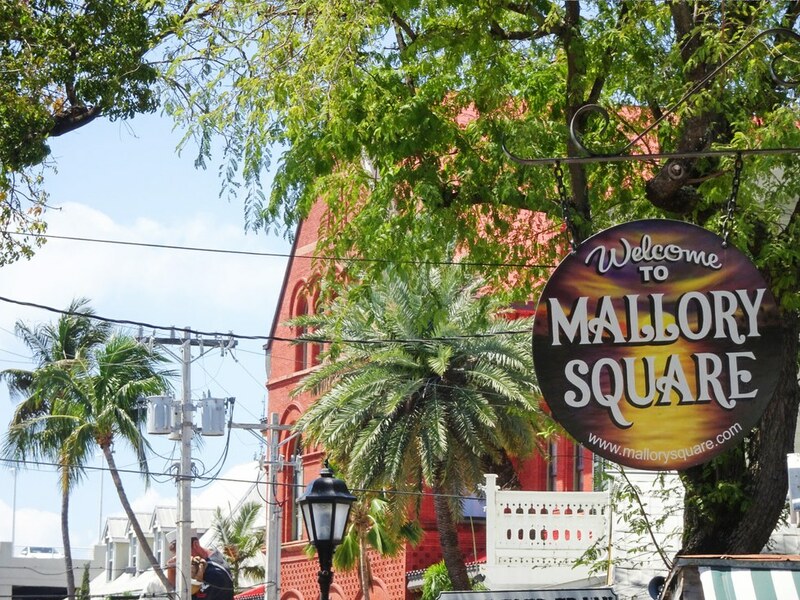 Check your phone for the sunset time and head on over to Mallory Square for the festival that ensues beforehand. It's different every night, so checkout the graveyard that's right before the water, grab a cocktail in a pineapple, and start discovering all the performers and spots to view the most beautiful sunset. Out of all the time I have spent in the Conch Republic, I somehow always end up at Fogharty's for nearly all of my meals. The Bruschetta will swoon you and make you never love a spread the same way again. It also just might be the thing that saves you from all those signature drinks you've been drinking in the tropical sun all day. 9. Take a couple hour snorkel excursion. Now, I hear ya, I myself personally loathe excursions. The whole super organized, expensive, planned fun thing somehow just does not appeal to me on any level. Yet, the FURY excursion was one of my favorite things I had the chance to do in Key West. It was only like a 3 hour endeavour and it picks you up and drops off in the marina right behind the Key West Art and Historical Society, and only cost about $35. That being said, most of them are all-you-can-drink rum punch cruises! They take you out to the reefs, supply all your gear, and are out in the water to help you. We were able to see sharks, the reef and hundreds of rainbow fish, but honestly skip this if you are there during jellyfish season which is typically August to early October. 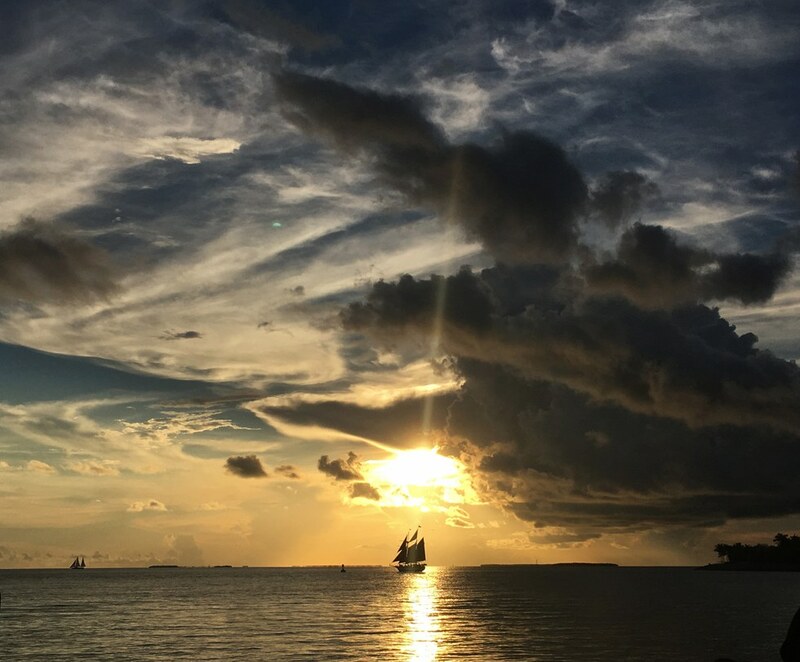 It was truly a once in a lifetime experience, so just spend the 30 bucks and get out there and explore the reef (And get your drink on before you get back to Duval St)!